Reward perfect attendance with our Rising Star Attendance Trophy! 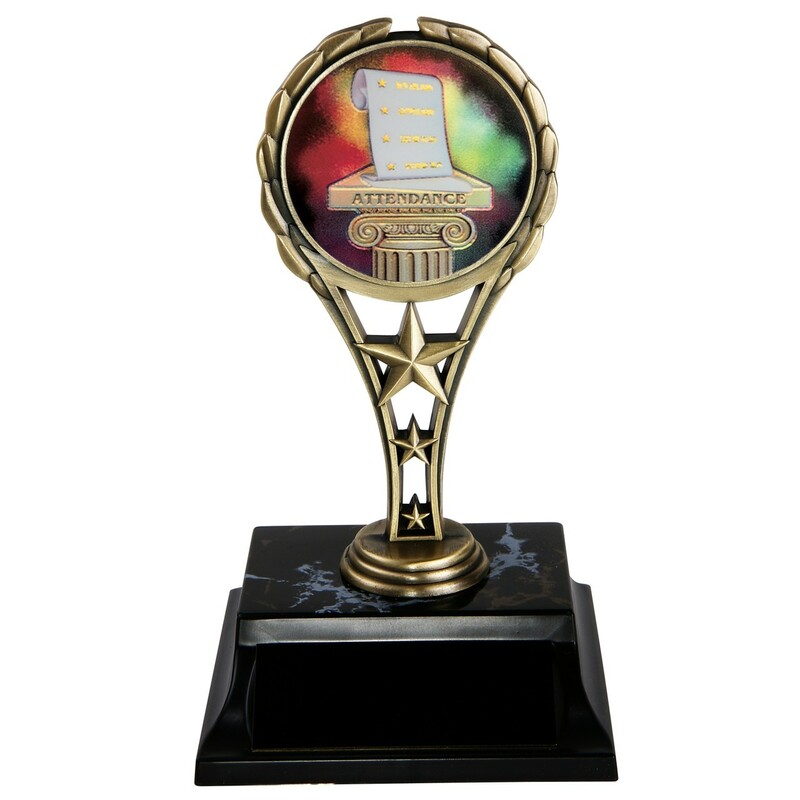 This solid metal rising star trophy features an antique-finish riser and a round, holographic attendance roster insert. This perfect attendance trophy stands at 6 inches tall!